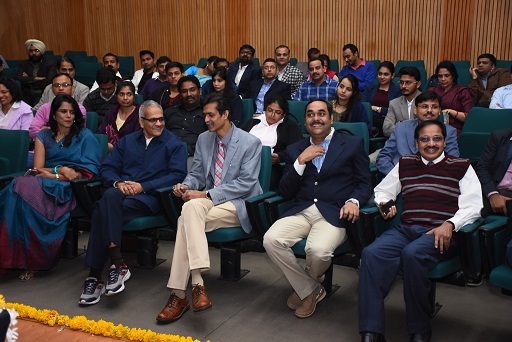 The second batch of General Management Programme for Executives (GMPE) began at IIM Indore on January 8, 2017. The programme focuses on the learning requirements of working professionals in the Industry. 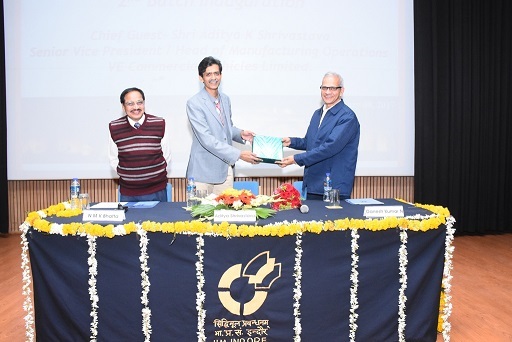 The inaugural ceremony took place in the presence of Mr. Aditya Shrivastava, Senior Vice President and Head Manufacturing Operations, VE Commercial Vehicles—Indore as the Chief Guest. A Total of 41 participants had registered for the programme. 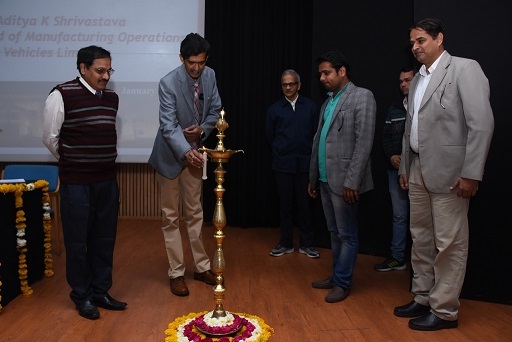 Inauguration began with the lamp lighting ceremony by the Chief Guest; Professor Ganesh Kumar Nidugala, Professor NMK Bhatta, Chairman, MDP and all the registered participants. 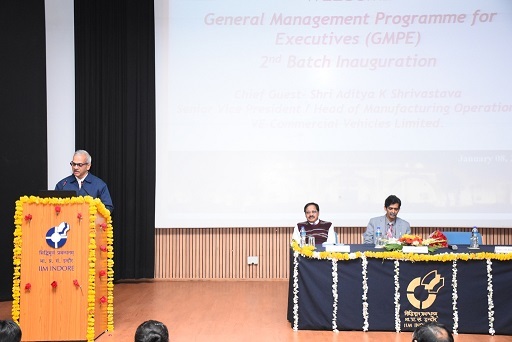 Professor Bhatta in his address said that GMPE is a gift of IIM Indore to the working executives in the Malwa Region. This programme has been initiated at the request of the Industry leaders in the region and is being continued at a very moderate fee more as a Corporate Social Responsibility of the Institute to the state where it is operating. He requested the participants to take the programme very seriously and put in their best efforts to derive maximum value. 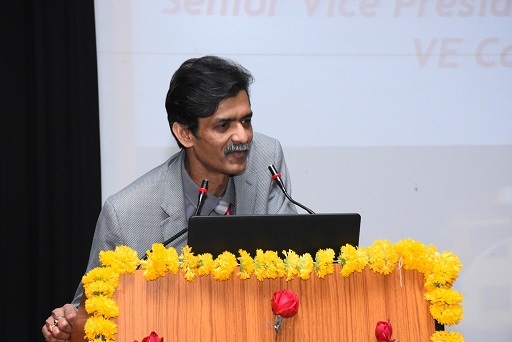 This was followed by an address by Professor Ganesh Kumar Nidugala, Faculty, IIM Indore. He said that this is a unique programme being offered by the IIM and advised the participants to divide their time judiciously among their family, work and the course. Mr. Aditya Shrivastava in his keynote address mentioned that in this world of VUCA (Volatility, Uncertainty, Chaos & Confusion and Ambiguity), programmes of this nature help executives to face challenges more effectively and transform their entire career paths. He also advised the participants to concentrate on time management, change management and people management to be successful in their personal and professional lives. Many prominent industrialists of the region and the families of the participants were present at the occasion. The event concluded with a vote of thanks by Mr. Manas Parihar, Officer, Management Development Programme.